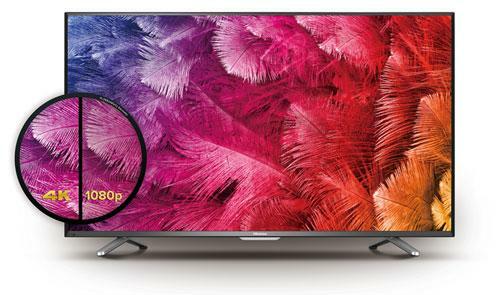 Considering buying a brand new TV – here we have rounded up a selection of the best TVs under 1000 available in the market for 2019. 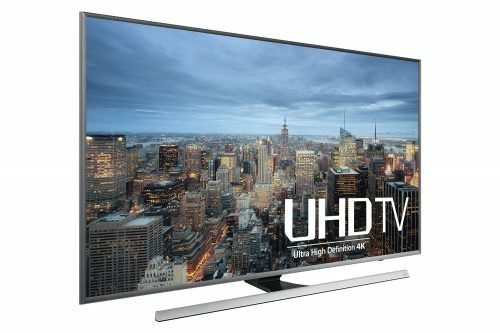 Choose from budget-friendly big-screen, OLED, Full HD to 4K. We know that the market can be like a maze making you all dizzy with the models available. All these televisions present you with quality imagery for watching movies, programs, gaming, and sport. 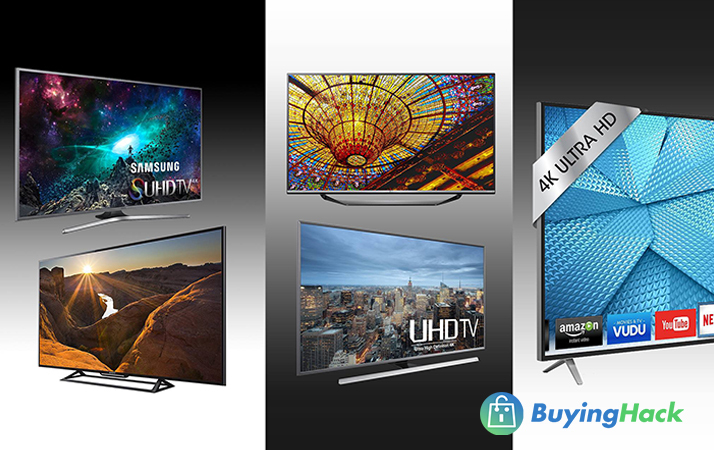 With us, you will find the best contenders available for you to use and are the latest in LCD, LED, and OLED with the highest definition and packed with 4K content. Whether you need the smallest screen, size to the biggest for your family room find it here with us! For exceptional picture quality, nothing compares with the LG 55UF6450 with 4 times resolution with IPS and Full HD technology. Once paired with HDR Pro the content displayed on the set is award winning. With the HDR Pro, you can adjust the screen’s brightness and make the images life-like. While with the UHD, you can enhance the colors bringing out the detail and enjoy watching your favorite vibrant content. While with the IPS 4K display it is clearer than watching a full HD with wide viewing angles and undistorted images. It even has Stable Screen for watching clearer pictures without the color blurring. The screens coated with an anti-glare coating for achieving superb black levels and high contrast ratio. It has the latest generation smart webOS 3.0 platform with a Magic Remote to connect mobile devices with ease and Magic Zoom. For great picture quality have your mind blown away with the affordable LG 55UF6450 4K Ultra HD Smart LED TV. You can tweak the colors in the picture mode settings to suit your taste and the sound is not bad at all. For viewing at different angles, it is superb making it great to use in different environments. It is a great TV set for gaming and the built-in apps are only a few of the features that are sure to get you going to buy one of the best TVs less than 1000. 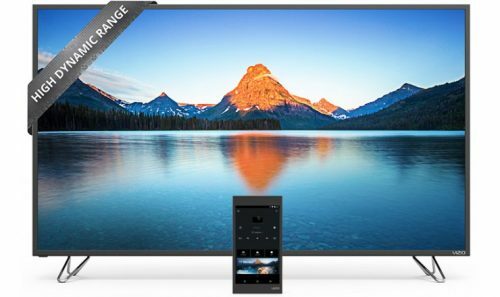 This all-new television the Vizio M55-C2 is an Ultra HD Full-Array LED Smart TV. For picture quality, it presents you with over 8.3 million pixels and four times resolution of 1080p. The picture quality is breathtaking with clarity and detail. The TVs designed with a full-array LED backlighting with 32 Active LED Zones for superb light equivalence and high contrast. It has active pixel tuning for increased picture contrast and accuracy. On the other hand, for watching sport the Clear Action 360 technology gives you powerful image. It has an effective refresh rate of 120Hz with backlight scanning. Additionally, you can view all your favorite entertainment in 4k Ultra HD when taken out of the box. With the HEVC decoding and fast Wi-Fi, presents you with a three times faster streaming Ultra HD contents a breeze. View popular apps such as Amazon, Netflix, UltraFlix2, and Amazon Instant Video. It has a powerful Spatial Scaling Engine to transform 360p and 1080p to Ultra HD. The TV supports all the latest devices that function with HDMI. It carries an IEEE standard 802.11 specifications meaning the maximum rate of 802.11ac is three times faster than that of other 802.11n when using the internet. You get a 1-year limited warranty. For spending under a thousand, the Vizio M-series selection is the best bang for your buck. You will be buying a television with 4K features for a superb movie, music, gaming, and video watching. When coupling up with your sound system you will not only get great audio sound but a truly superb picture as well. With the Hisense 55H7GB2 one can get up close and personal as it presents you 4 times more pixels 2160p and a full high-definition 1080p. The images are clear and vibrant when watching sports and television programs. The TVs created with less blur as it has Ultra Smooth Motion technology and has built-in wireless & Ethernet features. This helps to stream 4K movies and shows, you can surf the internet from the available Opera Browser and listen to Pandora. View your favorite social media pages and play games as it presents you with a second screen to share content from mobile devices connected via the multiple inputs available. Hear detailed audio sound with the integrated DBX-TV audio technology. Moreover, what makes it more interesting is that it has designated Netflix-recommended TV that is always on. For convenience, it has one-touch hot keys and the design is sleek and affordably priced. 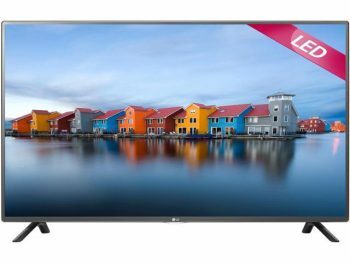 The Hisense 55H7GB2 television is an import with loads of features at a cheap price when it comes to 4K. It may not include 3-D support but has a superb picture quality and with the guarantee of 4-years makes it a worthwhile buy for anyone needing smart features. 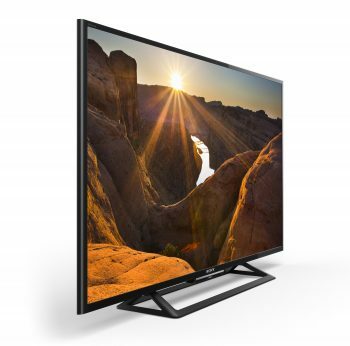 The Sony Bravia XBR-49X830C is an Android TV with HD picture quality and excellent UHD performance. It has a wider viewing angle and reduces the blur effect found in most other brands. It offers you access to Google Cast for streaming content via mobile devices. You have access to the Google Play store and you can use it with a variety of streaming services. Additionally, it supports voice search when using your Android device and what most people like is the Netflix TV to make it easier. You have 4 HDMI inputs and outputs for adding accessories such as a subwoofer. All of the HDMI ports comply with the latest 2.0 and HDCP 2.2 requirements. They even improved the clarity of viewing HD and 4K videos that still seem to be a problem in other brands. Whether you are watching HD sports, shows, or movies the TV upscales it to clear images to view with the 4K X-Reality PRO. 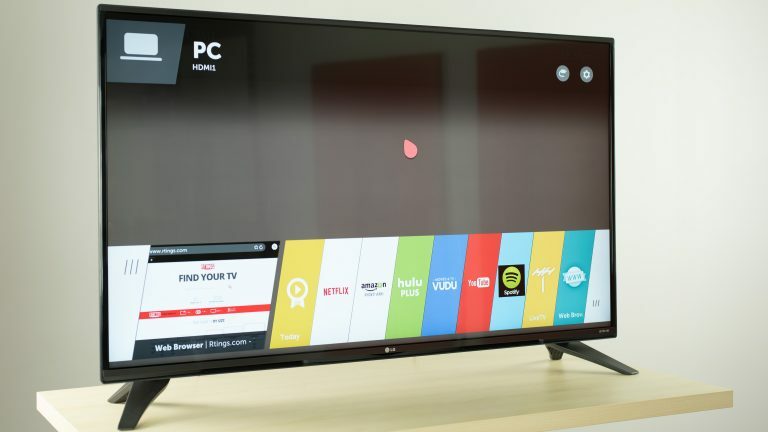 You can personalize your TV and supports many different apps direct to your home screen. Even stream your PS3 gaming directly to your television screen. You receive a one-year warranty. 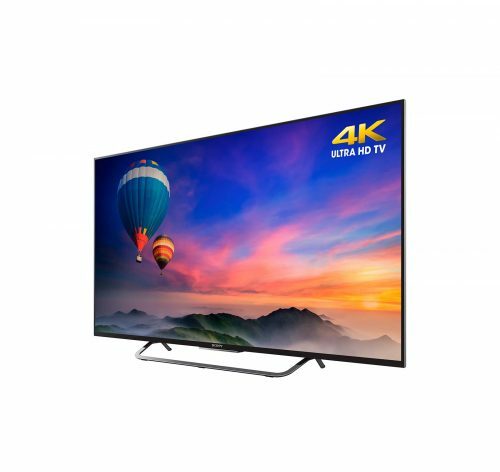 Be more than delighted when buying the Sony Bravia XBR-49X830C packed with superb features and technology at an affordable price. Who would believe that you could buy this 4K Smart TV for under a thousand? Check it out it will not disappoint you at all, as it received some excellent ratings from more than 200 customers. Choose from different screen sizes for high-definition quality and 4K performance in the Vizio M-Series. It delivers average UHD picture quality and the upconversion from HD to UHD is good. Even viewing native 4K contents detailed. You can stream content in 4K provided by YouTube and Netflix but may have a bit of problem viewing 4K videos that are stored on an external flash drive. The high-resolution 4K images are downscaled to 1080p. The Vizio M-Series is part of the Ultra HD Full-Array LED Smart TV and presents you with over 8.3 million pixels. It has full-array LED backlighting with up to 32 Active LED zones for superior lighting. With the active pixel tuning, you are able to set brightness for increased picture performance. View sports with powerful imaging made available by the Clear Action 360 technology and refresh rate of 120Hz. For sharper detail, the backlight scanning helps a lot. It has HEVC decoding and ultra-fast 802 with dual-band Wi-Fi for superb streaming. It supports the latest HDMI devices enabled with Ultra HD playback from next generation cable and most satellite receivers, game consoles, and Blu-ray players. The only noted problem with the television is that it does have a slight bug in the software when updating. Furthermore, clients cannot recommend the TV enough and it has received a 4.5-star rating when reviewed. It is a perfect television for home entertainment with a crisp picture. However, as with most TVs, it may need some tweaking and the sound quality is superb. 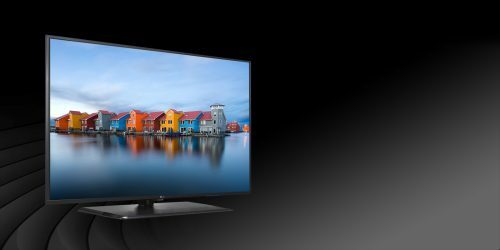 The LG 43UF7600 is classified as an entry-level 4K TV. It gives you an excellent HD picture with great UHD performance. However, many people say it lacks the wider viewing angle. The television has a refresh rate of 60Hz and some have said that they have seen some blurring. 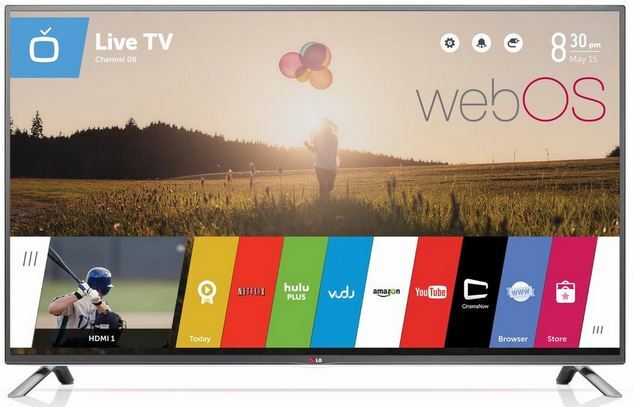 On the other hand, on the positive side, it has the LG WebOS 2.0 platform for viewing Netflix. It has a resolution of 3840 x 2160. Moreover, the sets endowed with an LED presentation that includes TruMotion 120 Hz expertise for preventing distortion. It also has Triple XD video processing for improved depiction excellence and Wi-Fi and Ethernet connectivity. For browsing the internet, it has web browser integrated into the system. The remotes easy to use and has included voice command. Connecting multiple high-definitions made easier through the provided HDMI and USB ports. While the component video input and composite video for lower resolution sources. The sound qualities enhanced with the 20W speakers giving you surround sound. For excellent picture quality the LG, 43UF7600 is perfect. You can buy the television in three screen sizes, 43’, 49’, and 55-inches. It is packed with features as accurate voice control and easy to set up. Ask away questions and it takes you where you want to be. Some people love the sound and picture quality and only find that the stands made cheaply while the user manuals useless. For an ultra high-definition experience, you can buy the UF6700 in three different screen sizes from a 43 – 55-inch. It may not present you with access to 4K streaming, but you can view 4K movies on it. It has excellent HD to UHD conversion and the pictures detailed when played through the HDMI input. As the television does not have internet capability, you need a separate 4K-cable media player. In addition, the USB ports available does not support the playback of 4K files that are encoded with MP4, VP9 or HEVS and you will find that the high-resolutions downscaled to 1080p. It incorporates TruMotion 120Hz technology in combating distortion when viewing fast moving images. It has Triple XD video processing for optimizing image quality and classified as a Smart TV, however, does present you with Wi-Fi and Ethernet connectivity. Magic Remote is easy to use and has voice recognition technology in place. Has a dimension of 43.5 x 27.9 x 9.1 inches. For picture quality, it is superb and needs a little bit of tweaking once removed from the box. Many users recommended that you turn off the TruMotion when gaming to prevent lag. Even the 4K playback is superb when looking at apps such as Amazon and Netflix. Nothing compares with a Samsung and for an affordable high-definition, TV the Samsung UN40JU7100 has it all. 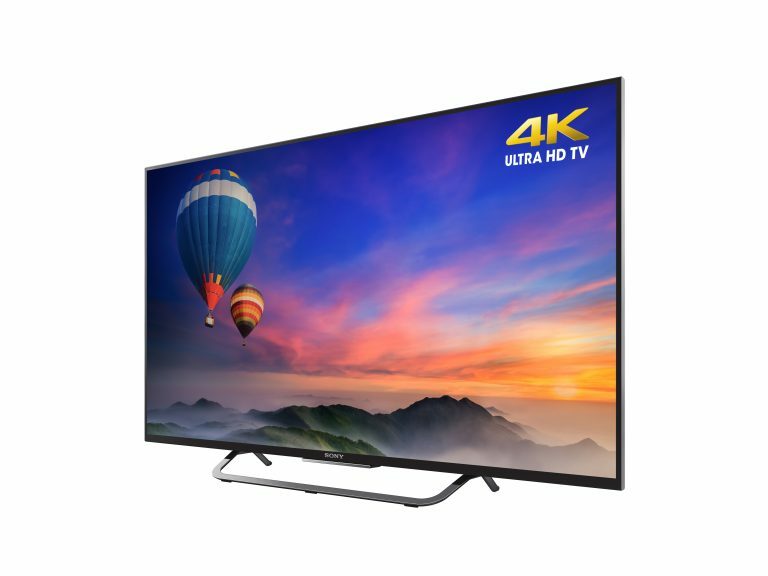 It delivers a full 4K image with detailed HD to UHD conversion. It is slim in design with an LED backlighting with included local dimming. The refresh rate while streaming is 120GHz and reduces motion blur while the Tizen Smart Platform has many available apps and functions with a smart remote control. You can even use voice commands with the built-in microphone and enjoy moderate viewing angle with outstanding audio quality. You can enjoy playing 4K video that you have stored on an external flash drive or even display high-resolution pictures and the four HDMI inputs are submissive with the newest HDMI 2.0 and HDCP 2.2 requirements enabling you to use it with the latest Blu-ray players. The flat designs great with supple contour to fit in with any home or office décor while the Sports & Action Flow Super Technology is great using the 240MotionRate. With all the characteristics available such as connecting with different mobile devices, using voice command, sharing content between the TV and mobile devices with the Samsung Smart View, available apps, and the Smart Remote Control what more can one ask for! 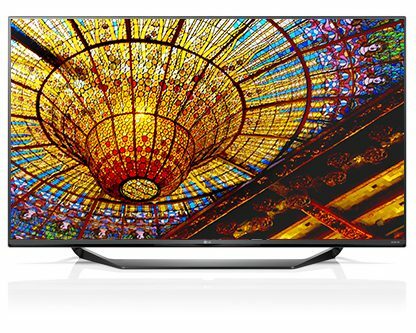 Many people would love to own the latest OLED TVs, but the LG 50LF6000 still presents you with an excellent picture in LED and affordable at the same time. It has Unblur to enjoy watching sports, video games, and high-speed action with picture quality enhanced with the TruMotion 120Hz technology. With this television, you can even save on your utility bill, as it is Energy Star Rated and set according to the standards of the US Environmental Protection Agency. On average, it is over 25% more efficient than most other conventional models. It has different modes such as idle, on and sleeps. Thanks to the full-array backlighting you view solid contrasts and motion performance and has a Full HD 1080p resolution to help illuminate the picture. When you buy the LG LF6000, you have the choice of buying two different screen sizes. With the Triple XD video processing engine, you can view optimized quality images. Connecting to high-definition devices is straightforward and the available component video inputs for viewing lower resolution sources. The sound quality is superb as well with the built-in 20W speakers and a great TV for any part of the home. 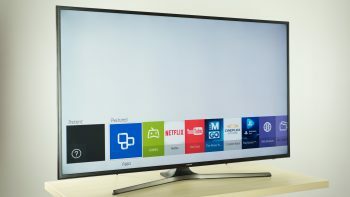 The Sony KDL48R510C is a Smart LED TV that most videophiles will be pleased. It may have a simple design but brags with a solid material making it very durable. The television has great picture quality and requires a little adjustment. The KDL48R510C may not be a 4K model but many of the other features make up for it. The designs slim and are a Full HD 1080p with Edge LED backlighting that helps to boost contrast. The great thing is that it has built-in Wi-Fi to stream your favorite HD videos available at YouTube, Netflix and more. With the Full HD1080p, you can view Blu-ray, watch HD sports, stream videos, and watch TV shows. It has Clear Resolution Enhancer for clear picture and reduces noise for the best viewing. Moreover, as we all know Sony is the best when it comes to outstanding contrast, enhanced dark-scene detail, and rich colors. For watching sports enjoy the life-like movement as you will feel as if you are standing right there in the stands. You receive a two-year warranty. For the price both the available TV sets are under a thousand and easy to set up with an HDMI cable. The pictures quality is superb and it has a decent sound even without a sound bar and even better with it. The remote operates all the functions of the television and the Sound bars automatically included. It has two apps included Amazon, Netflix, and YouTube. In addition, your TV sets always updated when connected to the internet. The only thing it does not support is Pandora. The Samsung JS7000s available in different screen sizes and the 50 – 55-inch screens are both available for less than 1000. This Super Ultra HD TV has a bright color with a 10-bit coated Nano-crystal layered panel that helps improve the color accuracy. This SUHD does not only have a brighter color it is loaded with some great features and ready for the future. You have 4 HDMI and 3 USB inputs with additional local dimming for improving the contrast. The TVs one of the best sellers with its Tizen Smart Hub packed with streaming applications to keep you glued to your screen. However, with all the latest features it only has a refresh rate of 60Hz and you may find your high-speed content lagging a bit. While viewing the picture presents you with a more lifelike image. The great thing is that the JS700 reduces reflections for minimal glare as it absorbs ambient light. You can play all your favorite content now directly on your mobile devices with the Smart View 2.0 while the quad-core processor presents you with switching between the apps and other media. Another superb feature is the Connect Share Movie making it able for you to play music, what videos, and view photos through the available USB connection. 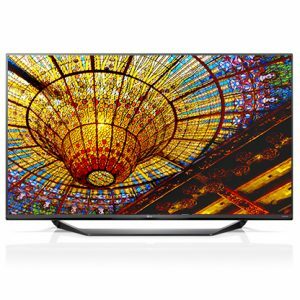 The Samsung JS7000 is a superb TV as many users recommend it highly and love all the latest features included. 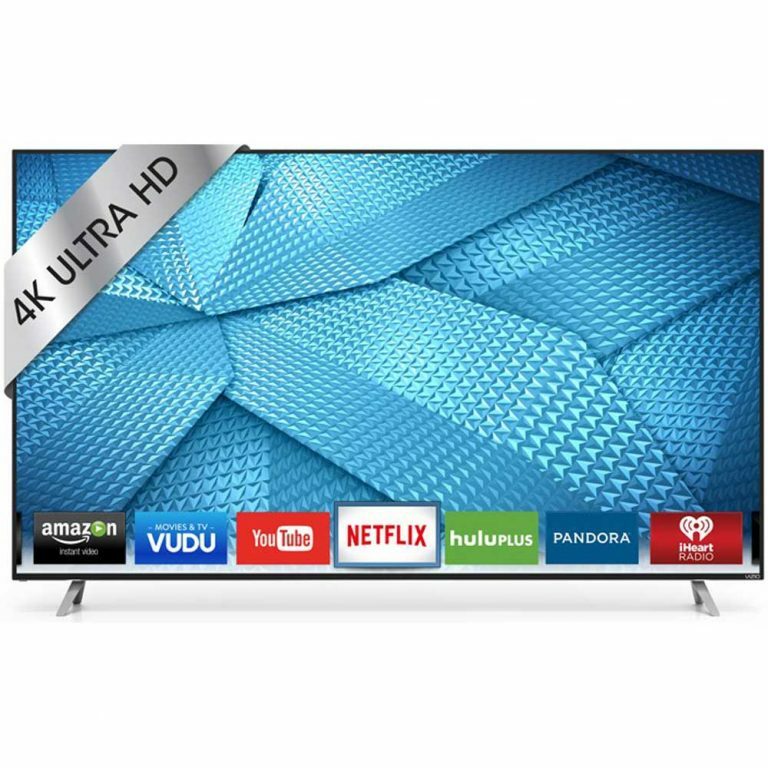 Price wise it is great if you are looking for a 4K Ultra TV and you will enjoy great viewing on this one. The color reproductions brilliant and connecting with the wireless are quick and easy and it only takes a couple of seconds to convert apps available to HD. We hope that our best TV under 1000 helps you to find one that best suits your needs. They are all affordable with superb features in the latest technology. The majority of these television sets are set for the future to make sure that you are always up to date! As always Yamaha has great surround, sound and features. I removed 1 star because of the “6” HDMI inputs… when using the ARC (audio return channel) you must assign the return channel to one of the HDMI inputs, making it really just a 5 HDMI input if using ARC. I have 6 devices i wanted to connect and was thrilled to see a 6 HDMI input device… only to find out to use the ARC from my smart TV I had to assign one of the HDMI inputs to it. It would have been nice if Yamaha had an internal HDMI input that would have automatically been the return ARC channel and left all of the 6 external HDMI inputs usable as inputs for devices.